So, as part of ‘The Garden Project‘ one of the big jobs was tackling the over grown lawn we had acquired from simply lack of care!! The grass was long, thick and wet underneath, not to mention rough around the edges!! 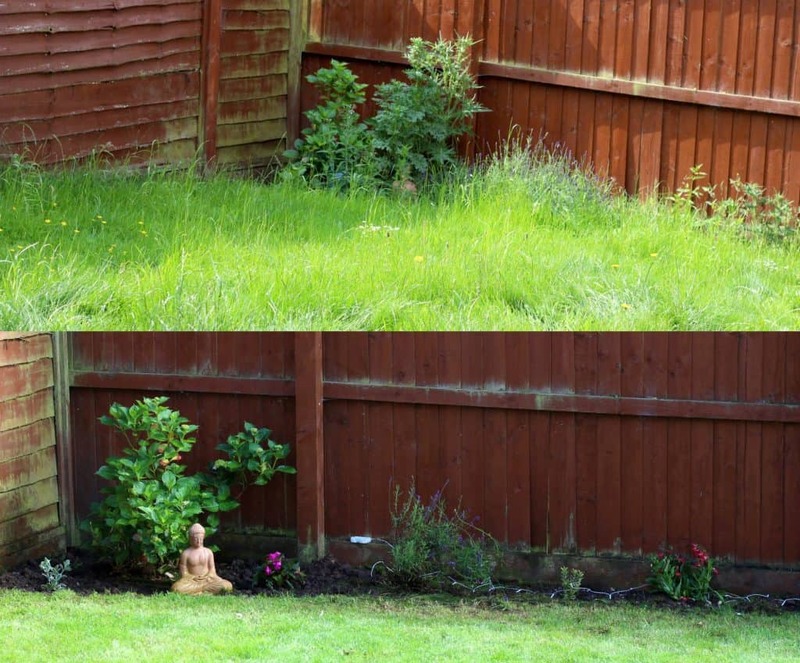 This was a job that was going to require far more than just our standard electric strimmer and mower! 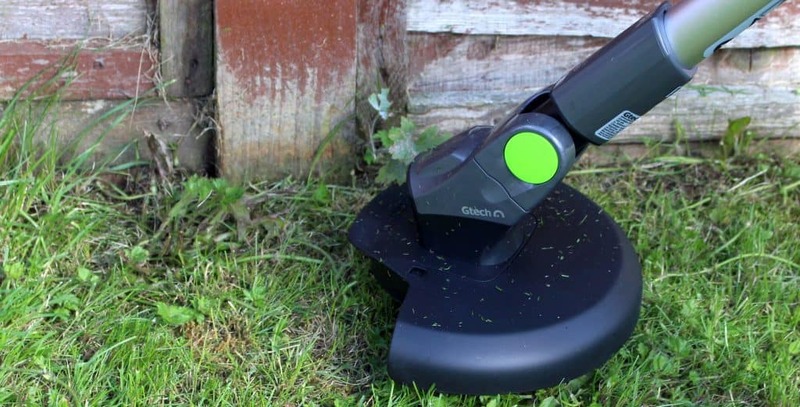 So we have been giving the Gtech ST20 Cordless Grass Trimmer a whirl to see how it stacks up! I must say I was a little excited to get my hands on the Gtech ST20 Cordless Grass Trimmer Is that sad? To get genuinely excited about garden tools! Oh, how rock n roll am I?!?! It’s just that when you find something that makes things that bit easier it’s the equivalent of angels shining down singing hallelujah – no joke! 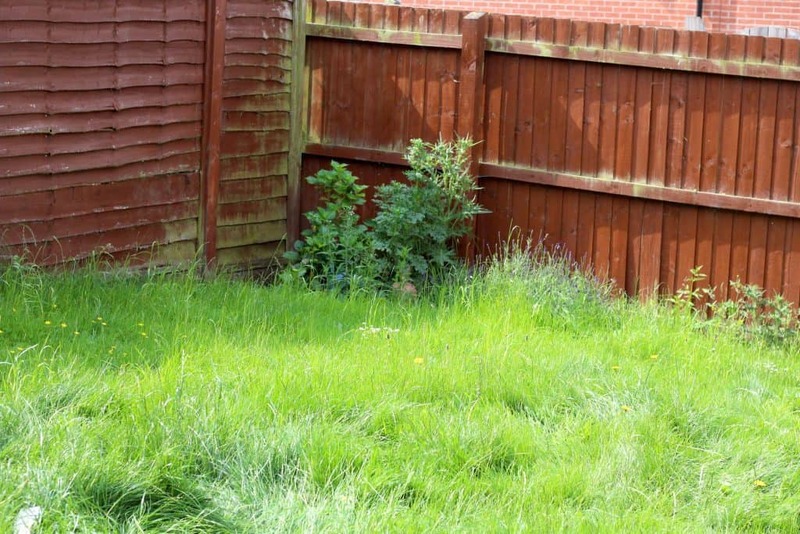 As we have never put any time or effort into our garden we haven’t ever bothered to ‘invest’ in any lawn equipment. I seem to buy a new mower and strimmer each year – which if you think about it is inefficient and costing me far more than if I invested initially. It’s not that I’m cheap I just could never justify the expense on a part of our home we never give a second thought too! I wouldn’t say that garden tools, on a whole are really based on how good they look. I mean I don’t really think people go around complimenting people’s lawn mowers or trimmers. I must say that if people did the Gtech ST20 Cordless Grass Trimmer would probably receive a good few compliments. The design is sleek and aesthetically pleasing with its ergonomic design. I must admit I was filled with a little panic at first that there was going to be some complicated build process but everything just clicked together – it was almost too simple!! The blades (of which there is plenty) attach so easily. No more fiddling, prying screws or praying for a miracle its a simple clip and go! In the box, you get 20 replacement blades and should by some freak reason you need more Gtech offer free replacement blades for the life of the product. When it came to using, the trimmer I was nervous that being cordless would mean being restricted on either power or actual functioning time! However, the battery takes just four hours to charge fully and runs for 30 mins without dropping in power – impressive! The main cutting head has two functions and by twisting it slightly it becomes a lawn edger. This is a fabulous function that makes the finishing touch of the lawn look very neat. 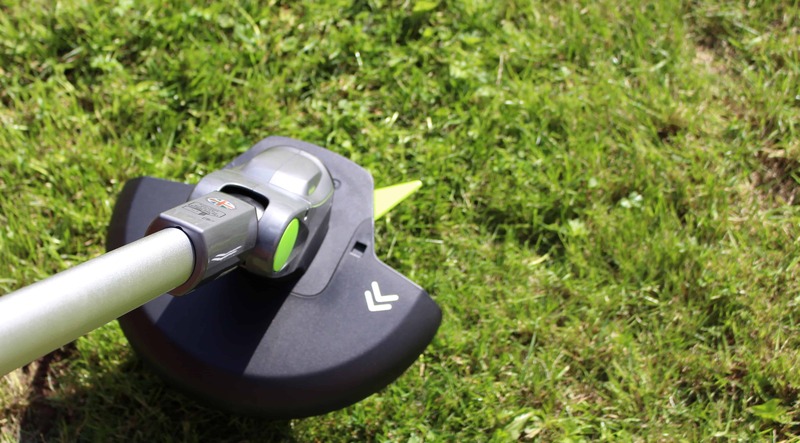 The Gtech ST20 Cordless Grass Trimmer has many features that make it user friendly like having an adjustable handle and a power trigger you can easily use with one hand!! It’s light and easy to handle making it the perfect tool for anyone – but especially me as an amateur! I should be honest in saying that it was nice not to be restricted by a cable. I never thought that it would make a difference to me having a cordless product over corded but having that freedom and ease was nice. It was so quick to get started too no dragging out the extension cord and spending hours detangling it. After charging the battery it was good to go!! I found the trimmer so easy to put together and use. By having this convenience, it will make doing these jobs a whole lot easier. As I said before the grass was very thick, long and a little wet underneath. There was no way that my lawn mower would ever be able to go over the grass ! I trimmed it down first using no other than the Gtech ST20 Cordless Grass Trimmer first. 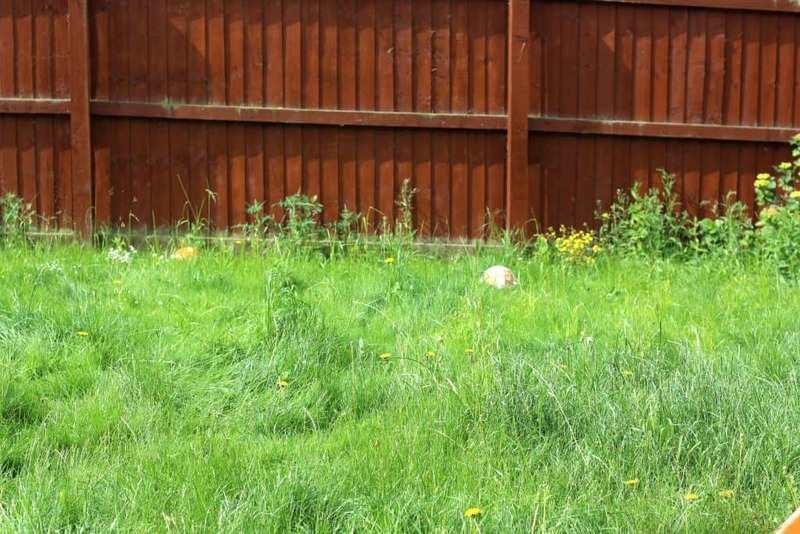 This was the ultimate challenge but it cut through the grass with ease and efficiency and very little effort from me. By doing this it meant the rest of the job was much easier for the actual lawn mower – which if I’m honest is just a shaving better than a toy mower! Regarding the blades even though we have used the trimmer several times and on long grass we are still on the first one and had no issues with cutting performance. I can’t see us ever needing more blades than the ones provided. It is however nice to know that if we do that won’t be an additional maintenance cost. 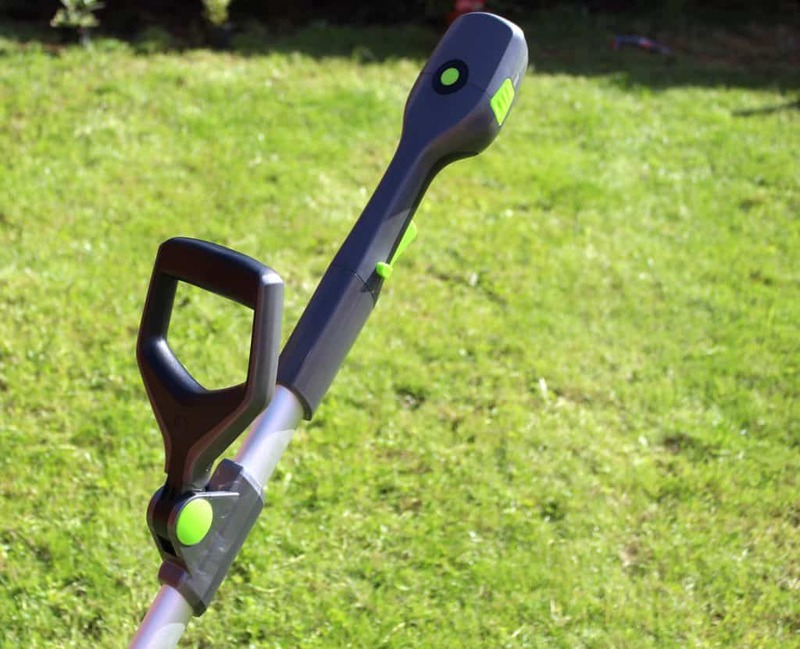 The Gtech ST20 Cordless Grass Trimmer costs £99 – which I honestly think is fair considering how good it is. 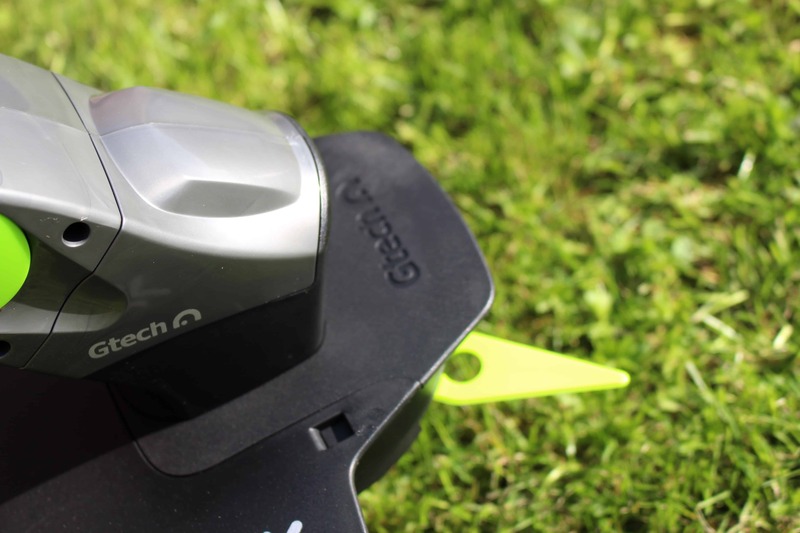 You can purchase direct from the Gtech website here and they have a whole range of garden power tools which means it’s time to convince the hubby we need the mower! 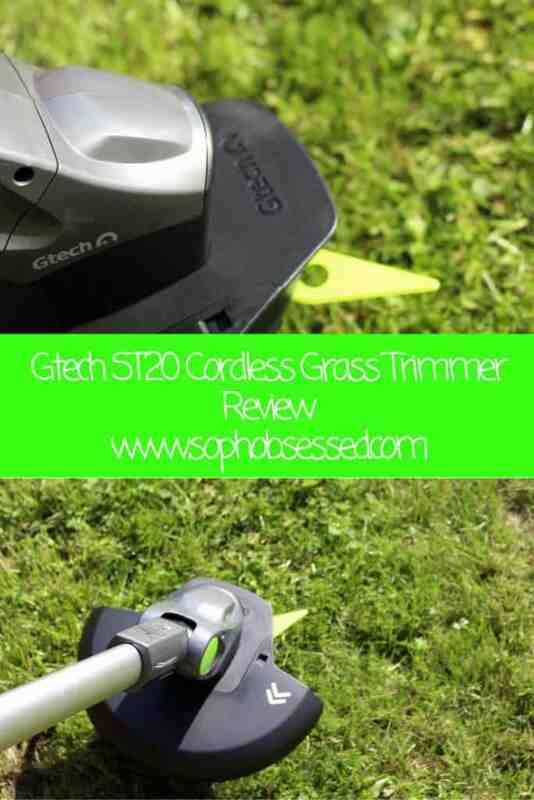 What are your thoughts on the Gtech ST20 Cordless Grass Trimmer? Would you consider going cordless? If you want to read more about ‘The Garden Project’ head or here. If you enjoyed this review and want to see more like it then head over here! Thank you so much for stopping by! *I was sent the Gtech ST20 Cordless Grass Trimmer on a gifting basis. As always all words, opinions and views are my own! If you want more information regarding this please head over to this page.